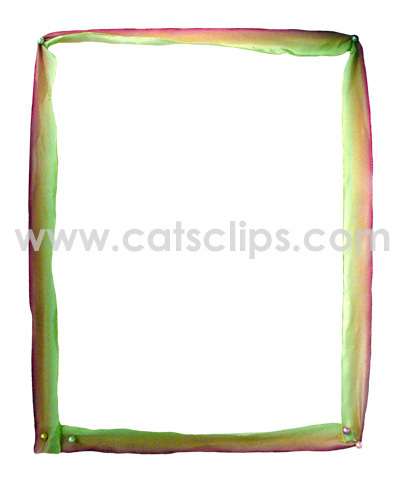 This pink and green silk ribbon is pinned at the corners. It has a transparent center for framing a photograph. Or insert into a Word document to use for flyer.